Due to a busy holiday season some dates may be booked please call to check for availability. 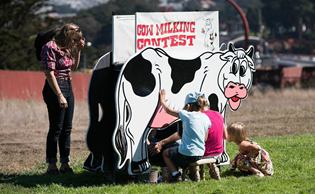 The best in carnival games, interactive games, inflatables & amusement party rentals. 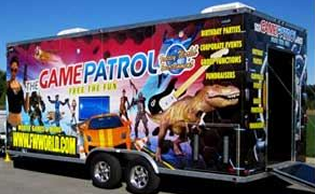 We are a trusted provider of a wide selection of Photo Booth Rentals, Mechanical Rides, Rock Walls, Arcade Games, Dance Parties, Cotton Candy Machines, Margarita Machines, Water Attractions, Casino Tables, Carnival Games, Inflatables & Bounce Houses, Slides, Snow Machines, Karaoke Machine Rentals, our AWESOME Video Game Trailer, Obstacle Courses and SO MUCH MORE! If you don’t see what you want, contact us for assistance. 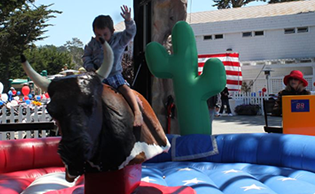 Our mechanical bull rental is the ultimate in simulation rides for your next party! It’s one of our most popular rentals. You gotta try it! We offer the most unique carnival games with over 100 games in stock. Delivering to all Northern California, San Francisco, San Jose, and most Bay Area cities. The mobile game unit that brings the party to you! Step inside and plug into the best mobile video party trailer on four wheels! Great for any type of party or event including your next tailgate party. Who Else Uses Let’s Party? I was at a friends party recently. This company brought a jump house for the kids and a lip gloss machine for the teens. What fun. Everyone was thrilled.If I lived in the area I would surely have them at my next event. Great job folks. Working with Jud and his team for our company event was one of the best experiences. They were on time, easy to work with, provided us with exactly what we needed and had a smile on their faces the entire day. Our employees had a great time! Thanks again for everything! For large-scale venues and those who prefer more hair-raising and mind-blowing activities, our company likewise offers these party games and rentals.